Josh Silverman brings a wide range of case experience in nursing home abuse and medical malpractice law to the aid of Virginia's elderly. Injuries such as falls can occur due to a variety of factors, including defective medical devices and the negligence of a doctor, nurse, or pharmacist. He is committed to making the respectful treatment and care of elders a right and guarantee in Virginia. 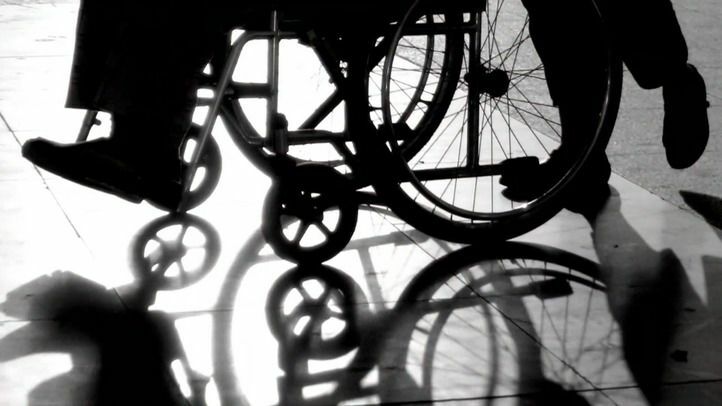 Attorney Joshua D. Silverman specializes in nursing home abuse in Richmond. His team works to obtain just compensation for elderly nursing home residents who have been injured or abused, or compensation for loved ones should the neglect result in the death of the elderly person. Silverman can seek compensatory damages and punitive damages to punish a negligent nursing home. Josh's approach is to first listen to you. Josh wants to learn as much as possible about your loved one and what happened to him or her. He will need to know about his or her health, work history, and family. He will listen to you to learn what happened at the adult home or nursing home. Equally important, he will take the time to answer your questions. You may want to learn more about his background and experiences. Investigating the case is where the real work begins. Josh will not simply rely on the medical records, because all too often the medical records have been altered to give the false impression that the facility was providing quality care. In most cases Josh will use the Freedom of Information Act to investigate whether the nursing home has been sanctioned in the past and what steps they have promised to take to correct the violations. In many cases he will interview former employees who often hold the key to understanding the truth of what really goes on in the nursing home. While he can not guarantee specific results, he will discuss your legal options and share his opinions on how your case will be resolved. After conducting an initial investigation, he will share with you his recommendations. In many cases he will recommend filing a lawsuit. Only upon filing a lawsuit will we have an opportunity to obtain and review internal documents like incident reports and to question the staff and owners of the adult home or nursing home. The best settlements are often obtained after filing a lawsuit. Usually the trial is scheduled 10-12 months to a year after filing the lawsuit. Center for Medicare and Medicaid Services (CMS) has issued new guidelines for nursing home inspections focus on improving the quality of life for nursing home patients. How do I file a complaint against a Virginia Nursing Home? Where can I learn more about nursing home abuse and neglect? How can I find out if a nursing home has been cited by the Department of Health? How can Joshua Silverman assist me? Are nursing homes required to have written policies and procedures and do I have a right to review them? What are the key questions to ask when visiting a nursing home or adult home? How can I select the right nursing home? Can I file a lawsuit on behalf of a family member who was injured at an adult home? Is there a time limit for filing suit against an adult home? Is there a cap on damages that may be collected against adult homes? What rights do residents have in an adult home? Should an adult home be restraining its residents? Is an adult home legally responsible for crimes committed against its residents? What questions are important to ask when selecting an attorney to represent a loved one abused or neglected at an adult home? What is the difference between residential living and assisted living at an adult home? What is the difference between a nursing home and an adult home/assisted living facility? Please note: EVERY CASE IS DIFFERENT AND THE OUTCOME DEPENDS ON FACTORS UNIQUE TO EVERY CASE. THEREFORE, THESE VERDICTS AND SETTLEMENTS, WHILE ACCURATE, DO NOT REPRESENT WHAT WE MAY OBTAIN IN YOUR CASE. Description: The Nursing Home Reform Law of 1987 protects nursing home patients from involuntary transfer and discharge. Patients can only be transferred or discharged from a nursing home under limited circumstances. In most cases the nursing home must give the patient at least 30 days notice. The National Consumer Voice for Long Term Care provides a useful guide to the rights of nursing home patients against involuntary transfer or discharge. If you believe a loved one has been wrongfully transferred or discharged from a nursing home, please call us at (804) 325-4992 to discuss your legal rights. Description: The Virginia Department of Health bans the use of physical and chemical restraints of nursing home patients except in limited circumstances. This link provides an overview of patient rights to be free from restraints. Description: This link takes you to a list of the rules and regulations nursing homes are required to follow in Virginia. Description: The Virginia Department of Social Services inspects and licenses assisted living facilities. At this website you can learn how individual assisted living facilities performed at their recent inspections and whether the facility has been recently sanctioned. Description: If you believe a loved one has been mistreated in a nursing home you can file a complaint with the Virginia Department of Health.